The “Cultural Gateway” mandala—meaning “circle”—was created by artist Shilpa Rao to represent the universe. It’s located at the south entrance of the amphitheater. 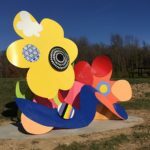 “People from within the St. Louis area and from out of town, who were people from different walks of life, age and cultural backgrounds sat together around this piece and helped me complete it. It was interesting to see them feeding off each other’s ideas,” Shilpa says. 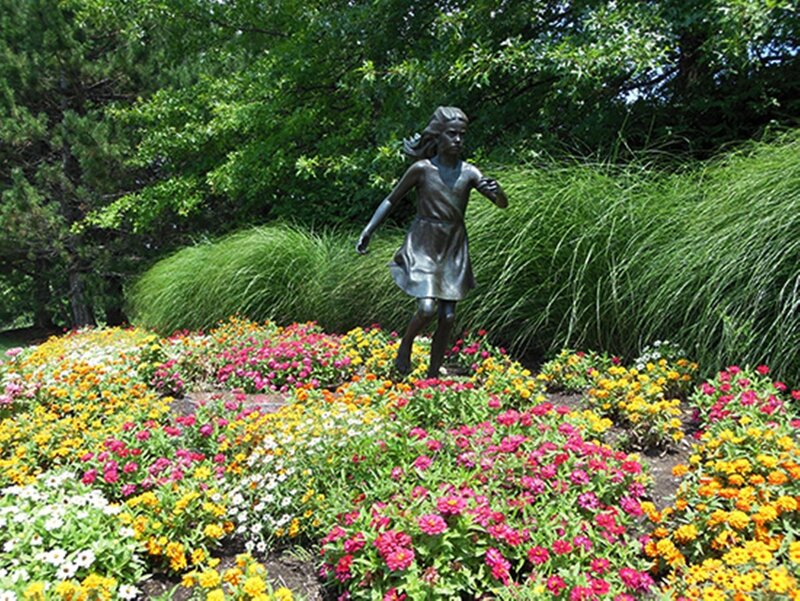 “Maura” is a bronze sculpture of a girl and her shadow created by Don Wiegand and dedicated on June 26, 1999, for Chesterfield’s 10th anniversary. 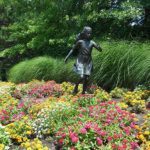 Every year, on June 26 at 10 a.m. Maura’s actual shadow meets her sculpted shadow as a display of nature and art. 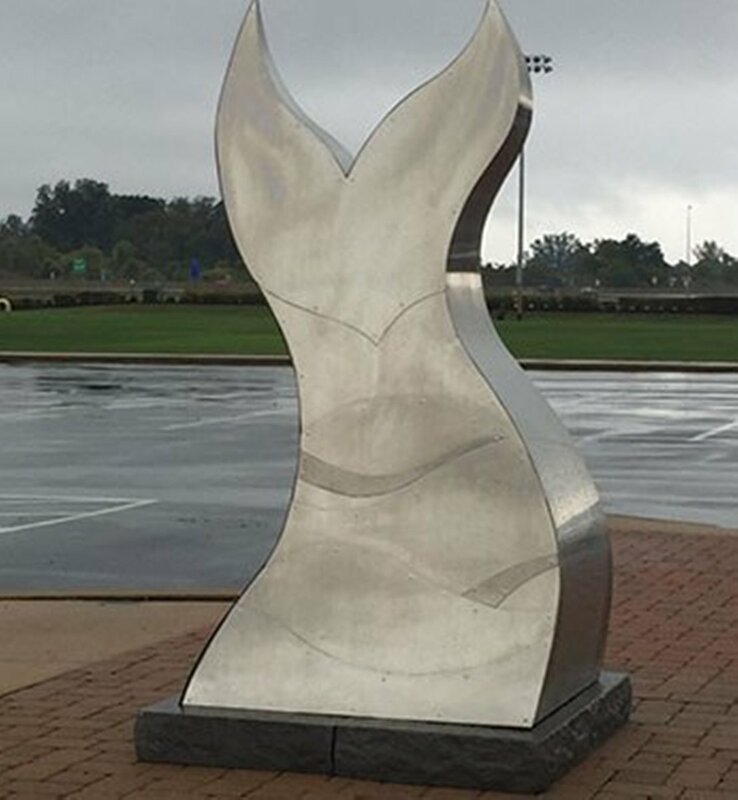 The other artwork on display at the Aquatic Center is “Large Bather III.” This life-size piece was done by Italian sculptor Emilio Greco. 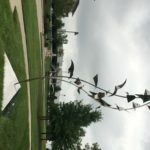 “This Is Our Water: The Missouri River Watershed” sculpture was designed by Hap Phillips and Stephanie Nelson-Pondrom, based on ideas created by the St. Louis Artworks apprentices from the Bloom Works Group. It suggests fish and flowing water. 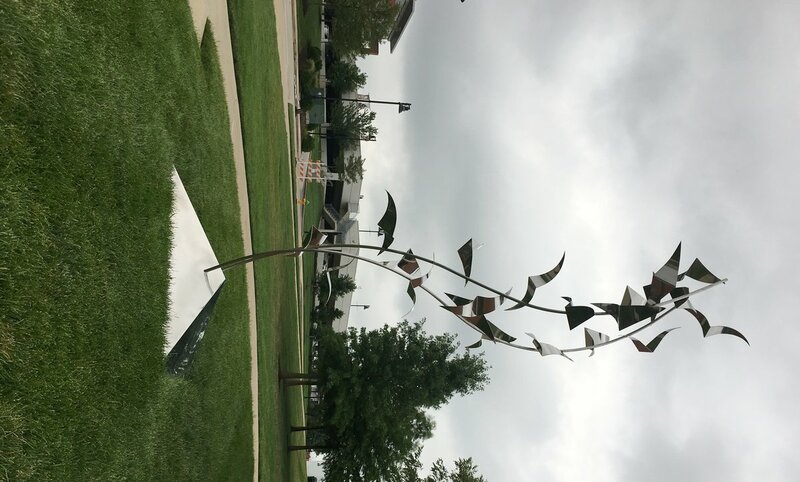 The other sculpture at the Athletic Center is called “Saturday’s Distractions,” a bronze piece completed by Lee Leuning and Sherri Treeby. 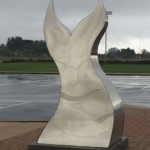 It will be on display near Miracle Field for two years. 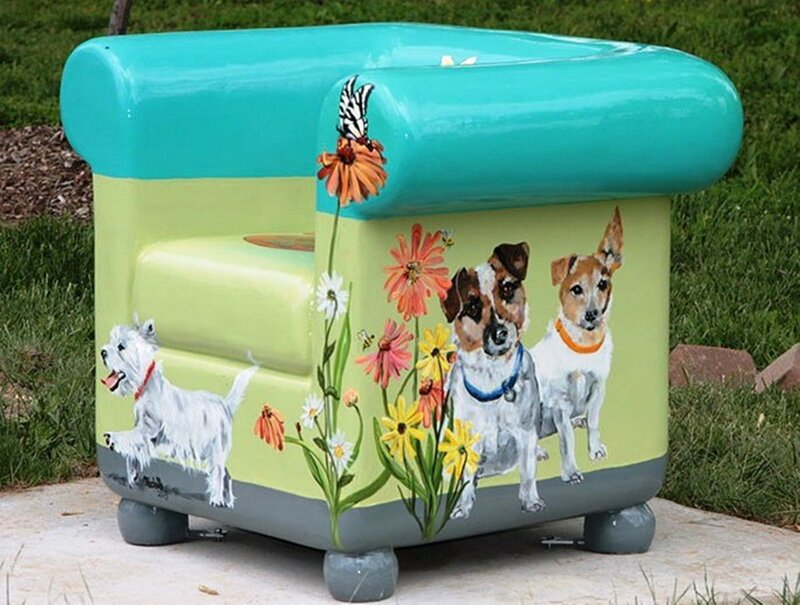 A fiberglass chair painted in acrylic, named “Dog Days,” reflects the fun, carefree nature of dogs. 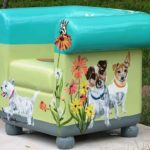 It was done by artist Michelle Streiff, a volunteer with Stray Rescue of St. Louis. She was inspired by her own Jack Russell terriers. 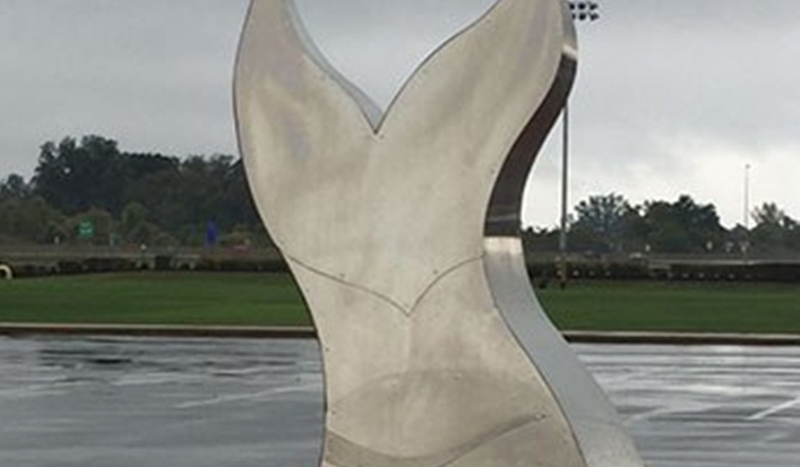 “The Coyote” is the second piece of art at the park. It’s a bronze sculpture done by St. Louis artist Harry Weber, as inspired by Lewis and Clark. 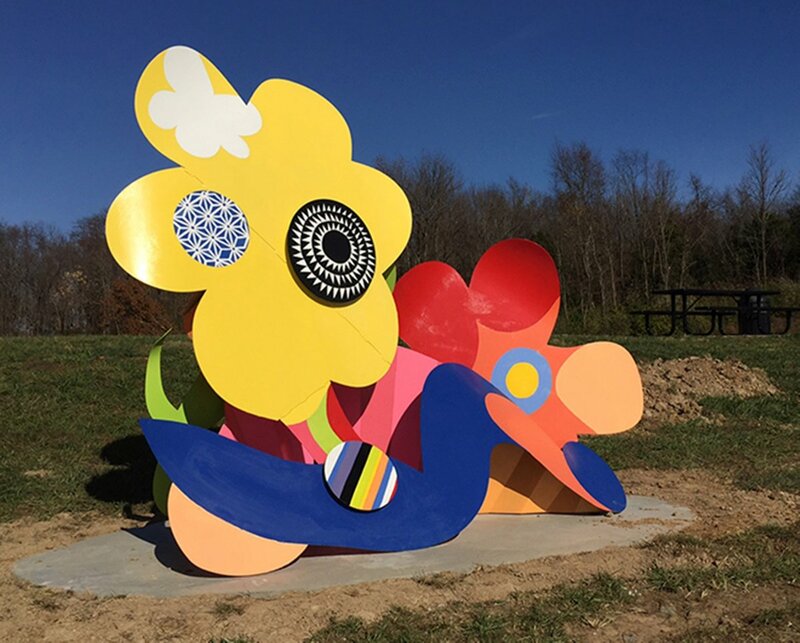 “Meeting Places” is artwork that explores the possibility and relationship between form, surface and the intersection of cultures East and West. 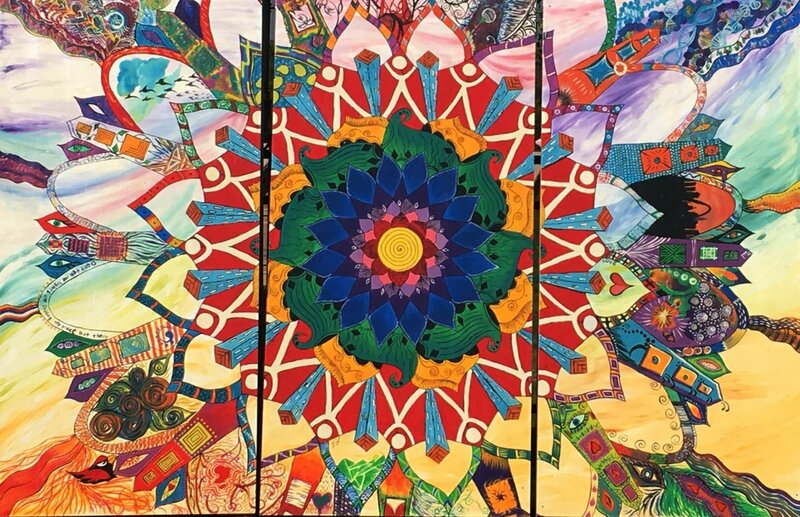 As part of the Summer Concert Series with Live Art, artist Catharine Magel was chosen to create this piece. 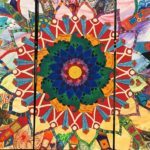 Another example of art at the Parks Department building is “Micro And Macro.” Artist Sukanya Mani explored human interpretations of art and people’s role in the universe.